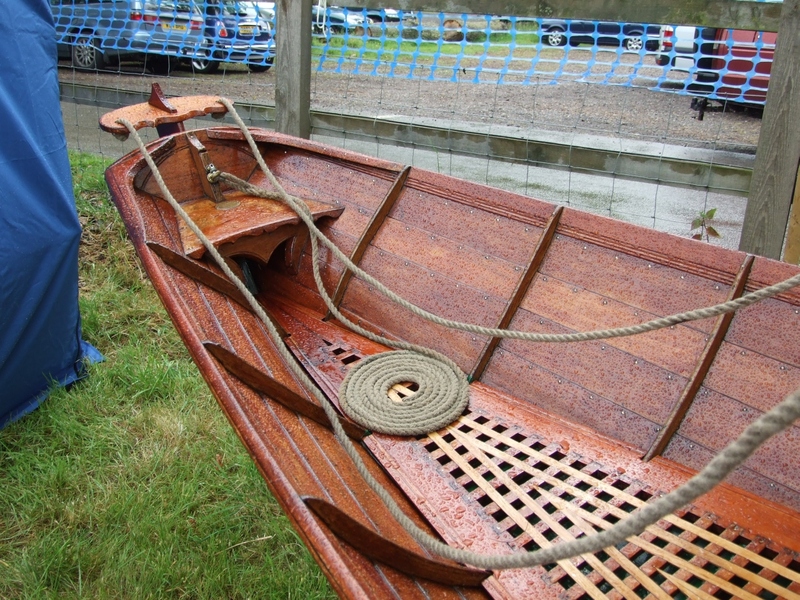 John Conolly’s evergreen Fiddler’s Green seems to have been largely forgotten among folkies (they probably sang it a bit too much decades ago) but it’s still popular with working boat folks including fishermen around the creeks where we keep our little boat. This recording… well, it’s not perfect but I’ve been trying out some new equipment and it seemed a shame to waste this take! The Mainly Norfolk website has a page of information about the song. 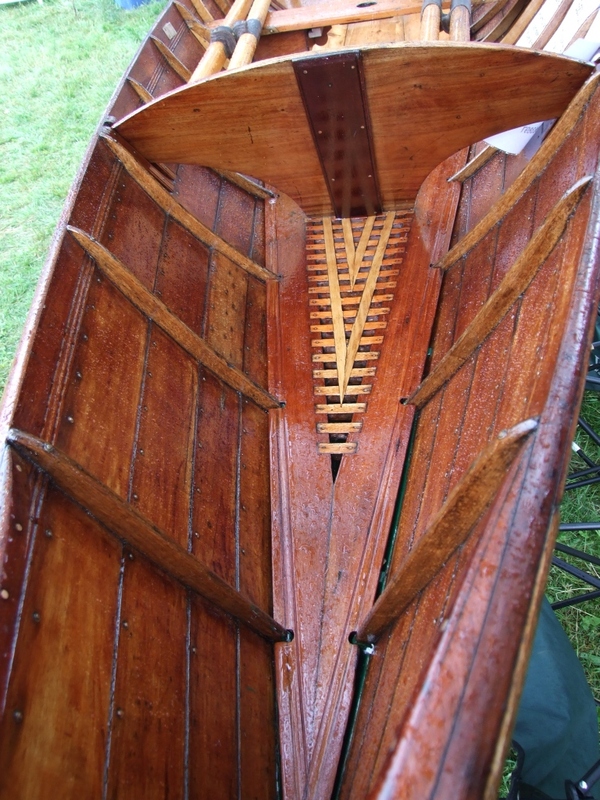 I fouled up badly at the Beale Park Thames Boat Show: my mistake was to believe the weather forecast and went to the show on the day it rained most. On the following day it was supposed to rain from dawn to dusk – but instead the sun shone – I’ve seen photos to prove it. 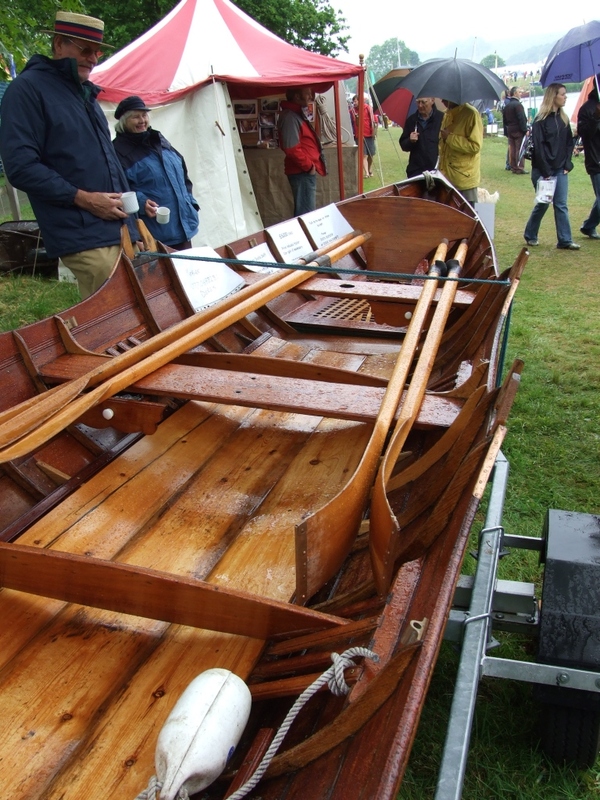 Every sailor, gardener, farmer, camper and boat show organiser has had the same kind of experience, and all one can do is smile and make the best of it, which in my case meant taking a lot of photos of gently rain-spattered boats and people. 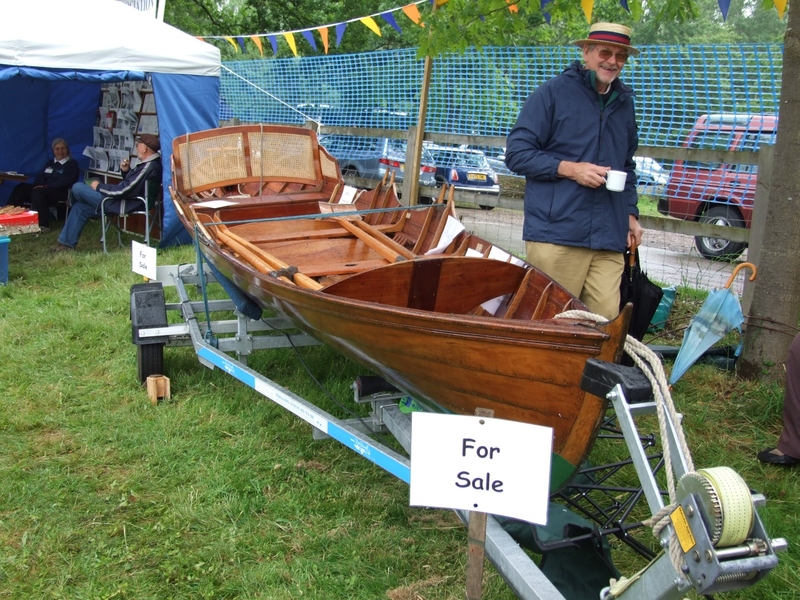 I’ll be putting a lot more shots from the show up over time, but I thought I’d surprise the folks who came to the show to sell this splendid 1902 Thames skiff by putting up some shots of their boat – and perhaps helping them to find a buyer. I told them I’d do it, but like so many others they were sceptical. I think they imagined I needed to be paid – but I don’t and it’s not in my plan. Give me a good story or some pics or both and I’ll put them up, though if they’re not, I won’t. Even if this site someday becomes truly commercial, I doubt I’ll ever want to charge contributors money for providing information for a good post. Don’t miss something good – subscribe to our weekly email newsletter. 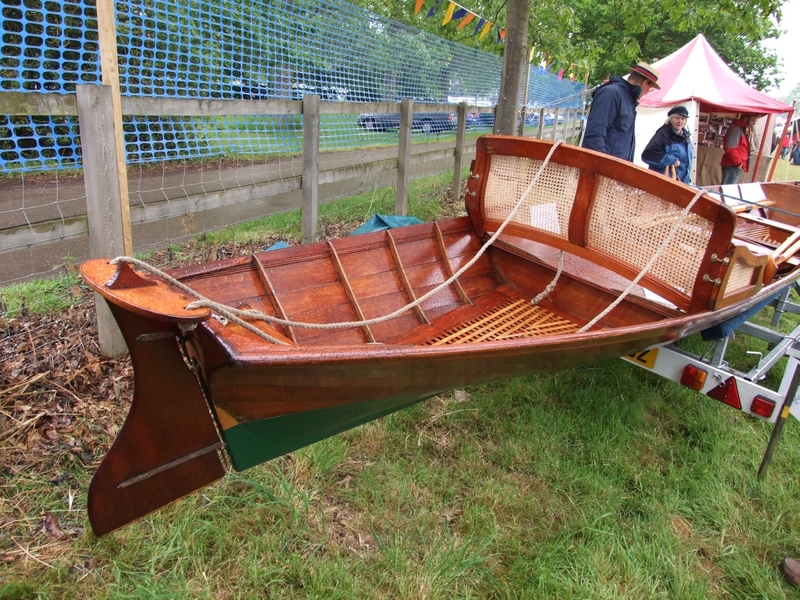 The Albert Strange Association folks have had a brilliant idea for their annual meet – offering those who are interested the grandest of grand days out. 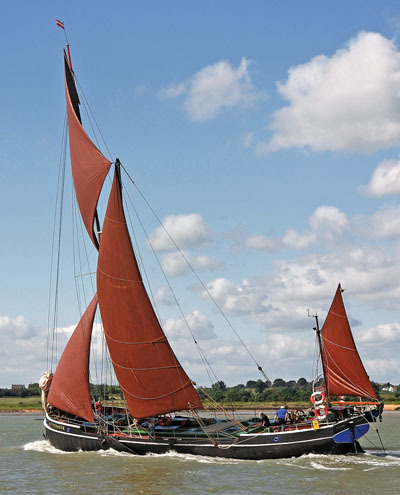 They’re offering up to 12 interested souls a day’s sailing aboard their own Albert Strange-designed boats, together with sailing and accommodation for a couple of nights aboard the the Thames barge Wyvenhoe – and all for the very reasonable price of £120 a head to cover the barge hire. 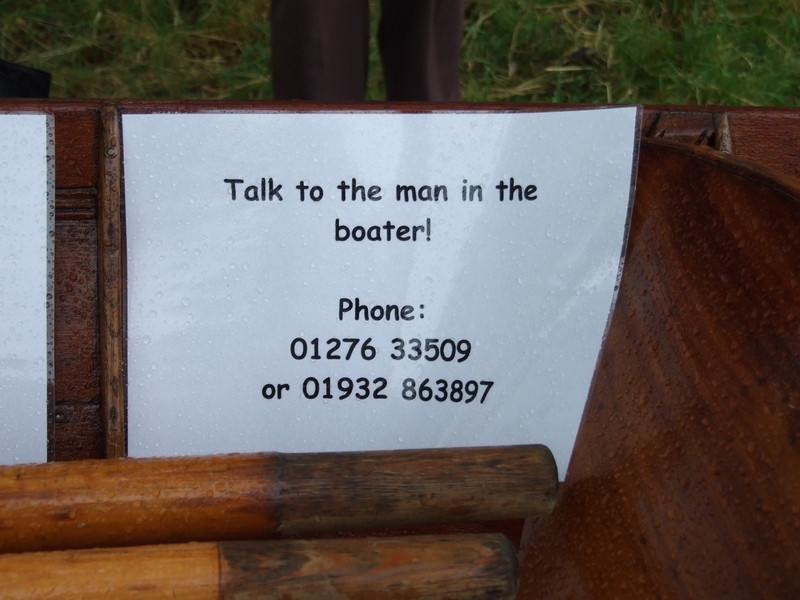 It all takes place on the 4-6th September, and for guests it all begins with boarding the Wyvenhoe at Maldon. 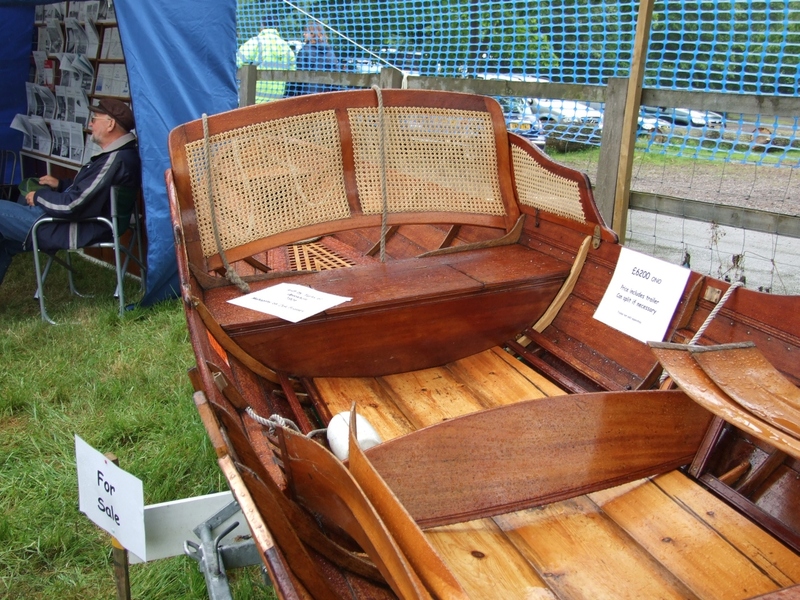 Get the information from the Albert Strange Association website.